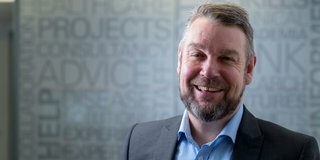 Dr Richard Deed, technology director at TRUSTECH, the NHS innovation experts, and service delivery lead for Health Innovation Manchester, looks into Greater Manchester’s thriving health industry and why it is uniquely placed to lead the way. The rising costs of health and social care and slow introduction of innovative solutions are a major frustration to policy-makers and care providers. The obstacles preventing rapid implementation of innovations nationwide include fragmented and slow decision-making; structures which do not assist collaboration and co-ordination; lengthy and uncertain routes to adoption; excellent initiatives in one locality that are not shared across systems; and a multiplicity of organisations and initiatives that industry finds confusing and adds to their risk. Like all cities and countries, Greater Manchester is facing significant public health challenges. A significant increase in over 65s and 85s is expected (20 per cent, and 30 per cent respectively between 2011 and 2021), against a backdrop of rising health and social care costs and a decreasing budget. Patient outcomes across Greater Manchester are currently below national averages against a range of disease and mortality figures, and over the next five years, it faces significant public health challenges. Quite simply, Manchester cannot carry on doing what has previously occurred as its problems will only get bigger. The needs of the community and the problems that exist need to be addressed; things must be done differently, the city must innovate and change. However the challenges and barriers to introducing innovation into health and social care services at pace are global issues, not just Manchester’s. Yet empowered by devolution, Greater Manchester is uniquely placed to tackle both of these challenges; it became the first city region in the country to take control of its combined health and social care budgets. Today, two years since the formal devolution, local leaders and NHS clinicians control budgets, decisions are made locally rather than at national level; and for the first time, the power has shifted, bringing a new way to make decisions. It is this change, combined with Manchester’s other attributes that will help it do things differently. It is uniquely placed to tackle the challenges, and lead the way for others. An accompanying system-wide approach to innovation is also critical. Greater Manchester health devolution has enabled the formation of an Academic Health Science System, called Health Innovation Manchester (HInM). It is the city region’s response for the acceleration of innovative clinical research into clinical practice. Its ambitious vision is to transform the health and wellbeing of people of people by introducing innovative technology and service solutions into health and social care services much quicker. Being at the heart of this unique and cohesive system ensures we have an in depth understanding and clear view of the needs of citizens, patients, providers and commissioners. Furthermore the world is now fully embedded in a “digital age” and although the healthcare sector is playing catch-up with the use of digital technologies and systems to deliver its services, Greater Manchester is well placed to capitalise on utilising the digital assets it has invested in over the recent years. It is broadly accepted that innovation only gets adopted when you can demonstrate efficacy through both quantitative and qualitative outputs, which is a major activity of an Academic Health Science System, such as Health Innovation Manchester. HInM is focusing much of its efforts on providing such evidence as well as working with its partners on the science of scaling through working with local partners such as the CLAHRC (Centre for Leadership and Applied Health Research) and understanding the recent outputs of the Kings Fund and Health Foundation report. exciting advances in basic research, particularly in genomics, digital technologies. the development of health data analytics, using integrated big data sets. the use of citizen-level health pathways, to evaluate treatments and care pathway. employing streamlined and accelerated decision-making structures to aid industry in navigating disjointed systems. Develop funding models which incentivise providers to invest in innovation. Perhaps the biggest change that could be made is to stop silo budgeting between different parts of the health and social care system, and to also prevent in-year or short term budgeting based decisions. our city-region’s capabilities by aligning local, regional and national initiatives and strategies. Our strategic priorities align with and support not only the Greater Manchester-wide Digital Strategy but also the national Accelerated Access Review and the Life Sciences Industrial Strategy, highlighting Greater Manchester as an exemplar site. A combination of knowledge, research, investment and facilities means that the region is a hotspot for healthcare innovation; universities, hospitals, science park and numerous successful tech start-ups. In fact, Greater Manchester is fast emerging as a global hub for the life sciences sector, healthcare innovation and clinical research. The number of bioscience companies operating in the region has grown by 86% over the past ten years, representing a combined GVA (Gross Value Added) of £4 billion. Fuelled partly by its impressive collection of large, research-intensive universities, the region offers one of the largest clusters of NHS organisations and patient recruitment programmes for clinical research in the UK. These strengths are made effective through extensive collaboration and cooperation across sectors, companies and organisations. This is actively facilitated by local government and dedicated organisations such as: TRUSTECH, Health Innovation Manchester (as part of the National Academic Health Science Network), Corridor Manchester, Manchester Science Partnerships, the Manchester Growth Company and the Northern Health Science Alliance. TRUSTECH operates within this system, working closely with all, with HInM continuing to bridge the gap between NHS providers and commissioners, and the commercial, academic and international healthcare sectors. TRUSTECH, one of the first NHS innovation hubs formed by the Department of Health in 2001, aims to improve healthcare in the UK and globally through the development of innovative products and services. How? By incubating and nurturing innovative ideas, and offering services around this such as help with intellectual property, product development, trials, research, and so on. Certainly, there is more the NHS could be doing in terms of recognising the revenue that could be generated by innovation, which is an area that TRUSTECH has a focus on. There is a vast amount of valuable expertise, knowledge, and ideas to extract from the NHS. Some of the innovations we have worked with have originated from clinicians and healthcare workers and clinical entrepreneurs whose success should be celebrated. However, something that TRUSTECH and HInM hold in high regard is the need for healthcare providers to collaborate with other businesses. One of the challenges that the NHS faces is the view that all the answers lie within our own hands. Healthcare professionals are the source of many incredible ideas, that is true, and we often assist NHS staff push their innovations to the forefront, yet many great ideas also come from outside. Products and services used in other industries for instance can provide benefits to healthcare. Greater Manchester has recently signed an MOU with the Association of British Pharmaceutical Industries (ABPI) and is working closely with The Association of British Healthcare Industries (ABHI) to do the same, to bring forward a pipeline of innovations for rapid adoption. Our ambition is for Greater Manchester, one of the UK’s three biomedical clusters, to become a world-leading location for clinical research. The region’s single health and social care system is now providing greater impetus to deliver clinical research at pace and scale, where every patient is provided with the opportunity to be involved in research because it is at the heart of our innovative clinical practice. This will deliver both better health outcomes and economic growth. Manchester is in the enviable position of global hotspot for innovation in healthcare; a combination of academia, research, skilled workforce, Europe’s biggest hospital site, alongside decisions being made locally as a result of devolution. Our thriving healthcare industry is uniquely placed to lead the way.